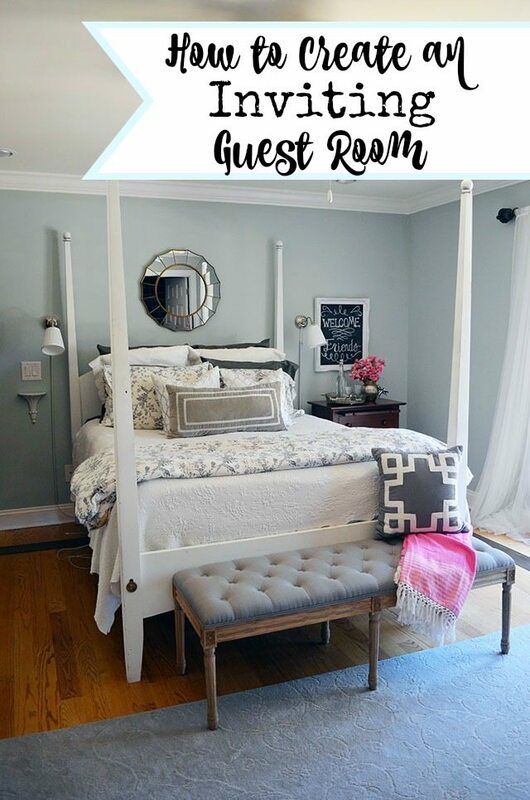 We’ve just spent the last week hosting back-to-back houseguests, which got me thinking about how an inviting guest room can really make or break your trip to visit family or friends. And whether you’ve got an entire room dedicated to guests, or just a pull-out sofa, you can still create a tranquil space with all the comforts of home. When it comes to bedding, I put the best on my guest bed that I can afford. 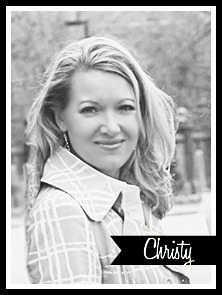 Smooth, high thread count sheets, a crisp white coverlet, and lots of pillows. I’ll usually include both poly and down pillows so guests can choose based on their preference. The nightstand needs a good reading light above all else (in my opinion). I also like to leave a bottle of spring water and glasses so guests can help themselves if they get thirsty in the night. 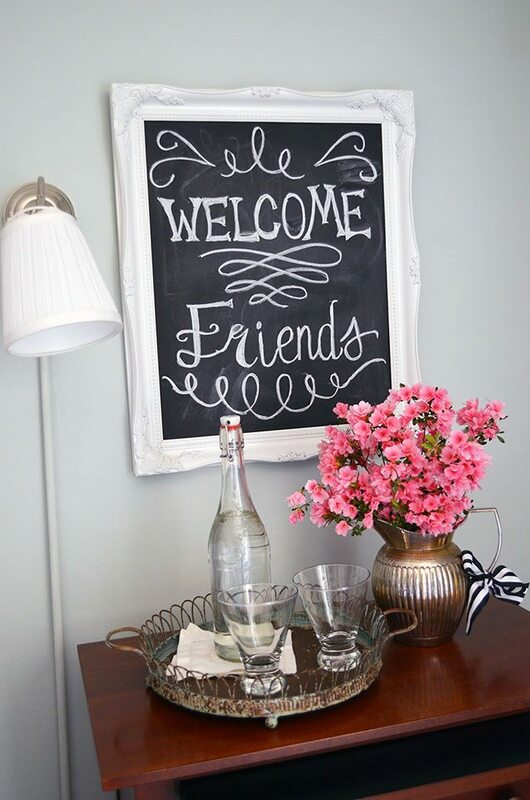 The chalkboard doubles as art, or I can create a personalized welcome. A vase of fresh flowers is a nice touch–I just pick what’s blooming in our yard. Obviously it freshens up the room, but plants and flowers also work to purify the indoor air in a eco-friendly way (read more about that here). A stack of fluffy towels (I always use white so I can bleach them) and washcloths (I always use gray so makeup doesn’t leave stains) are usually waiting on the bed or chair in the guest room. 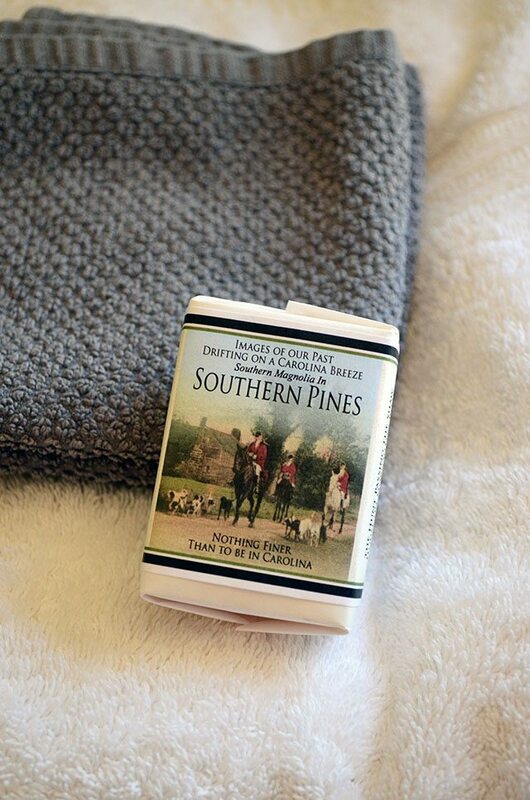 I also try to include a local item or two as a guest gift–here we have these wonderful-smelling soaps that I leave on top of the towels. I also keep a dresser drawer stocked with toiletries, a few medications, an alarm clock and a phone charger in case our guests forget something at home. A bench is so useful in a guest room; it’s the perfect place to open a suitcase or sit to change shoes. I also like to leave an extra blanket for the bed in plain sight since not everyone has the same temperature preferences. No matter where you live, there’s fun stuff to do. 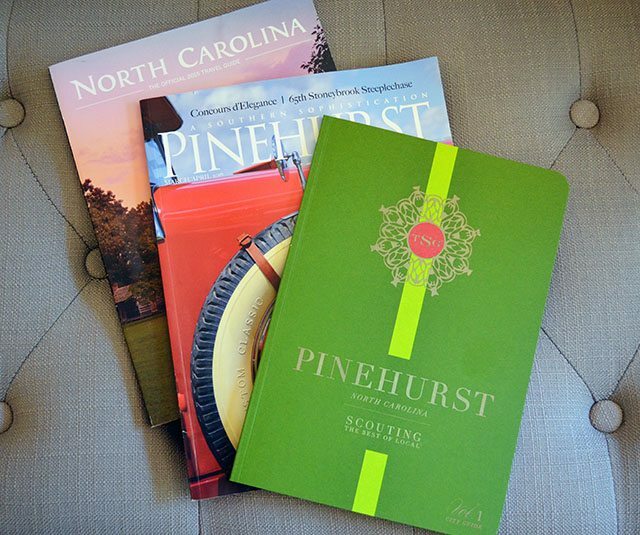 Think like a tourist and put a few local magazines and brochures in your guest room. 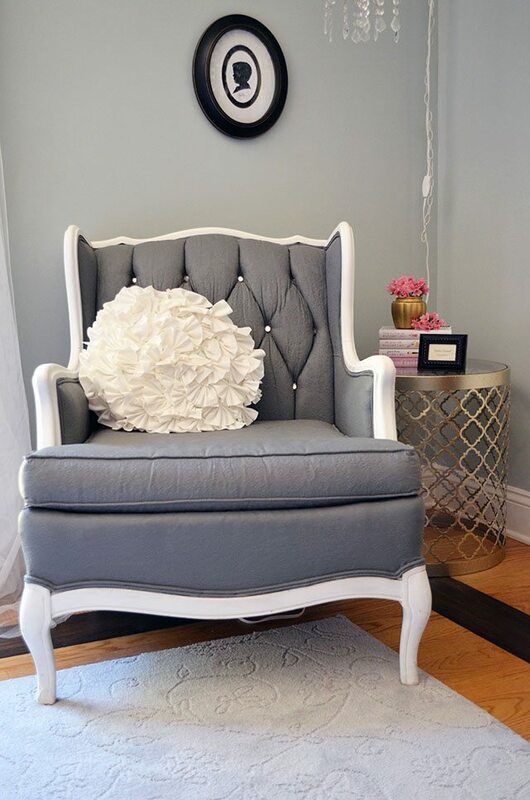 If you have room, be sure to include a comfortable chair for reading and relaxing. 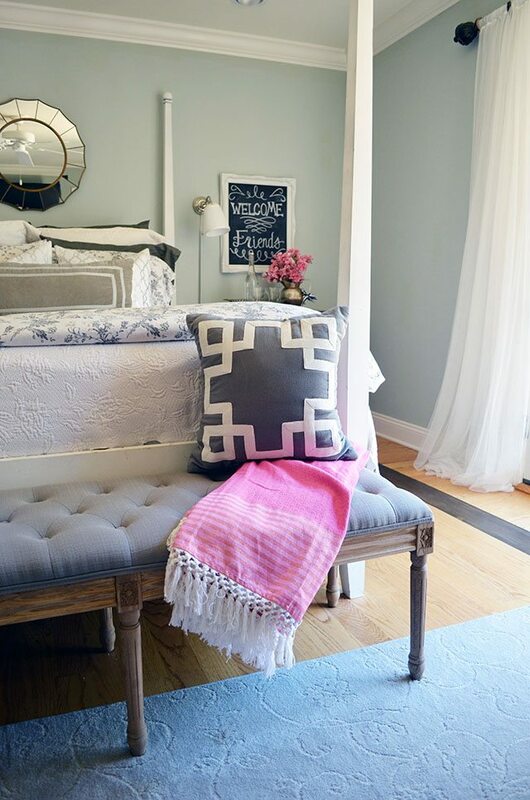 Everyone needs a little quiet time, so try to design a guest room that’s an inviting retreat. 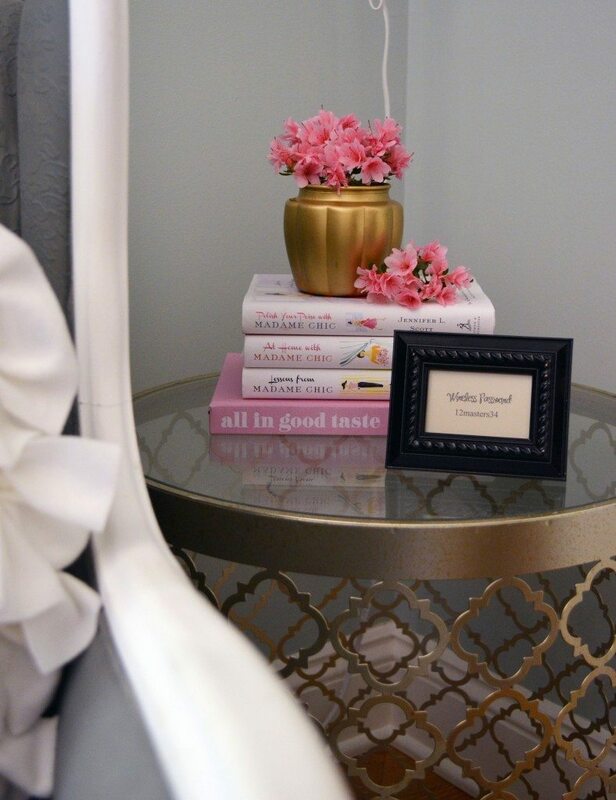 I like to include a stack of current books and magazines, and I frame the all-important Wi-Fi password so that guests can get connected as quickly as possible. That’s usually one of the first questions they ask, anyway. Put these tips into effect, and you might just have to hang out a bed and breakfast sign!